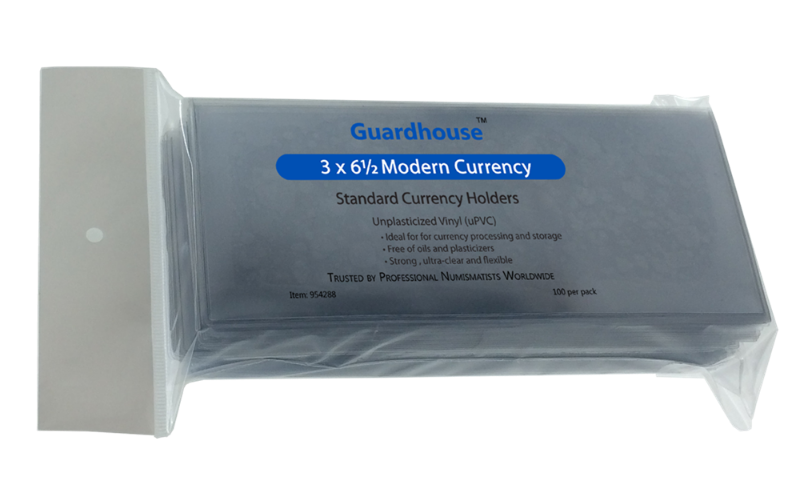 Guardhouse currency sleeves are high quality, 7 mil, double polished, unplasticized holders featuring a 1/8 inch lip on the top to facilitate easy insertion of bills notes. These currency sleeves are strong, ultra-clear and flexible. 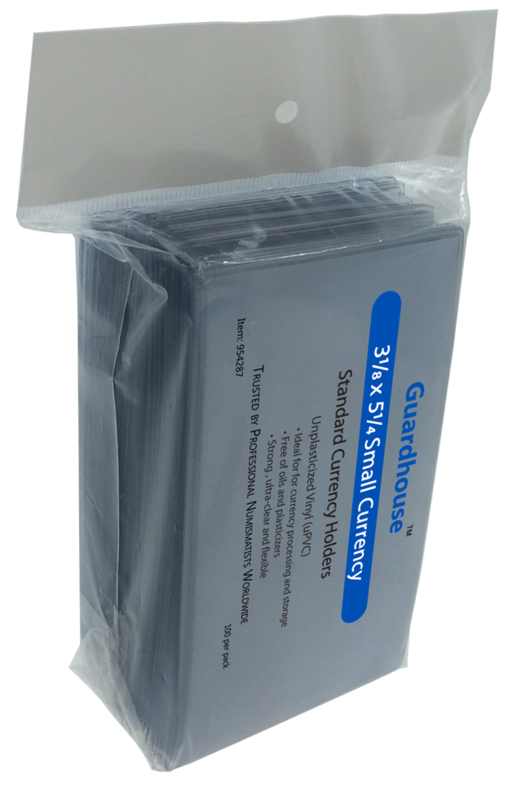 Guardhouse currency sleeves are tightly packed in a resealable bag for easy access and storage. 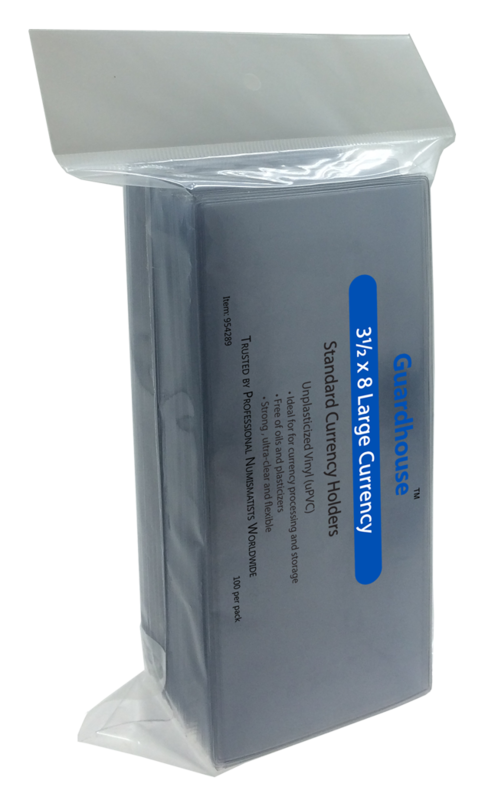 Currency sleeves and currency holders are designed to protect most types of paper currency. Medium currency sleeves, for example, are designed to protect modern currency bills. Fractional currency tends to be supported by the large currency sleeve holders. Small currency bills are supported by small currency sleeves. Small currency is most often associated with older money or small international currency, thus requiring small currency sleeves. 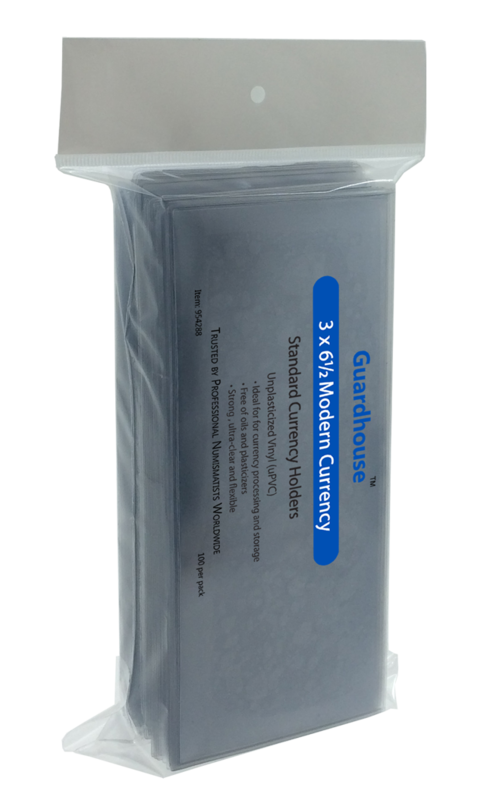 Guardhouse currency sleeves are protective but easy to store your collectible currency.